Locate the small board (PCBX-9710) that has the channel selector attached to it. On the right rear corner of this small board locate the small wire loop and cut it open. This is about 3/16 of an inch loop. Open, or cut this wire loop, right against the board. Now locate the "YELLOW" wire that comes from the edge connector of this same little board that has the Channel selector. It runs over to the Bright/Dim switch. Some Place in the middle of this wire you will see a black heat shrink tubing over the wire. You must cut away that tubing, and reconnect the yellow wire, as it is an open connection under that heat shrink. To select a band, you must place the dim switch all the way to DIM. This will now display a n1, n2, n3.... n8 in the channel selector window. 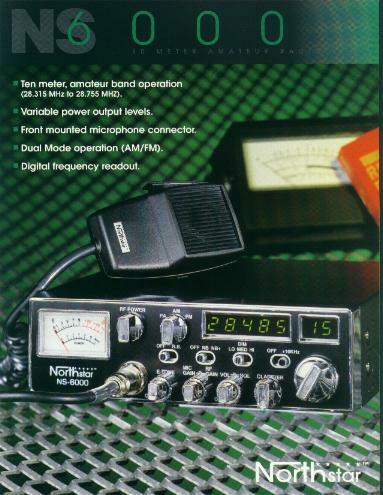 The CB Band is band 5 for most NS series, except the NS-3000. Which is band 4. Once you have selected the band you want, place Bright/DIM switch back to bright. You are now on that band of operation.